People are searching for greater depth and devotion in relationships. The groundbreaking text, Relationships and Higher Purpose, takes you beyond the normal parameters of human relationships to a deeper experience of union, purpose and meaning with those individuals with whom you share a greater destiny in life. Relationships and Higher Purpose expands the context of relationships to include your relationship with Knowledge, with your Spiritual Family and with the Greater Forces which are shaping your life and the world. Relationships and Higher Purpose is the essential component to finding and fulfilling a greater life of purpose, meaning and destiny. Relationship with others is the environment in which true learning occurs. The teaching on Love and Relationships speaks to what true love requires. 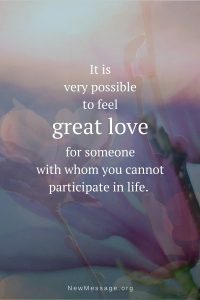 It is not about treating love as the ultimate experience, but speaks to being true to your deeper nature and design for a relationship to be successful. For a successful relationship must be built on purpose, readiness and compatibility. If you cannot take the same journey together, then it will cause conflict and hardship and might be interfering with each other’s progress by trying to establish and maintain the relationship. This is not uncommon. 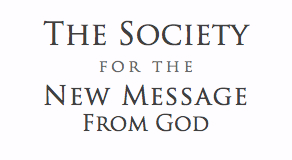 Seek the greater love. Seek the true love. Seek the real relationships. To do this, you must prepare, for you are not ready at this moment regardless of your desires and needs. These are unique relationships. They are not established for convenience. They are not established to fulfill ambitions or fantasies. They have a greater role to play, a role that is essential for you to find the strength to honor what you most deeply know. 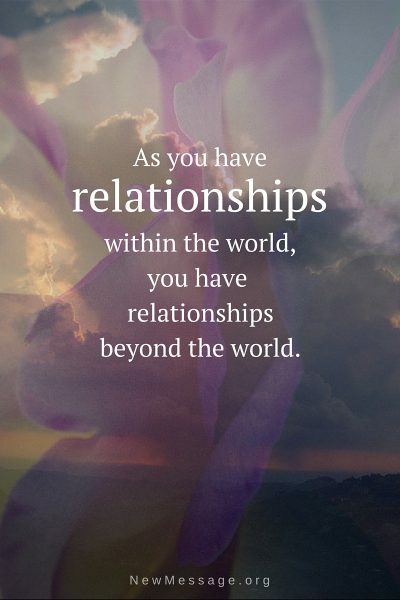 There is a deeper reason you are searching for relationships. And though you may have many failures in relationships, you will never give up because you are seeking to make the sacred rendezvous. 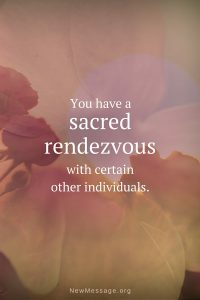 Listen deeply to The Sacred Rendezvous which can ignite a greater desire within. You are looking for the evidence of Spirit in another, not just a conversation about Spirit, not just a liveliness in their personality. You are looking for something deeper in them because perhaps you have reached the point now where you are looking for something deeper in yourself. Follow us and share this Wisdom with others from the accompanying On Love and Relationships Facebook page.